A light-textured, high performance face moisturizer for men that moisturizes skin and absorbs sebum without stickiness, while boosting the skin’s powers for a tightened, sag-resistant look. A high performance light fluid moisturizer, formulated with Marine Protein Complex helps to reinvigorate skin to resist potential sagging for toned and invigorated looking skin. 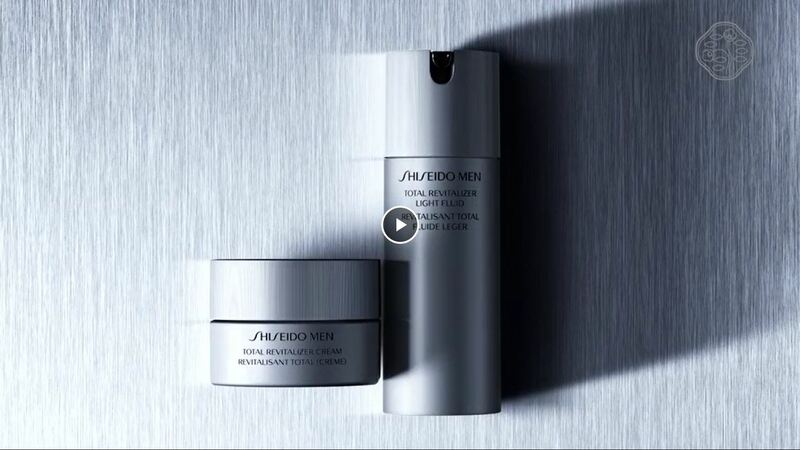 Skin's power is accelerated by SHISEIDO MEN's Original Application Method, achieving an energized, healthy appearance that reflects strength and self-discipline. Smooth moisturizer over face after cleansing or shaving. ImuBuild Complex: B glucan helps to strengthen men’s skin by acting on skin's natural ability to resist potential sagging. Rubus Leaf Extract helps suppress the appearance of sagging. Elythritol, Hydro Sensing Polymer and Hydro Wrap Vitalizing DE work together to boost the skin's barrier to protect against unique men's skin stressors, such as shaving. Aqua Changer Formula: The connection of rich moisturizing elements helps the formula to feel rich when dispended and turn dewy when smoothed on the skin. After absorption, the fluid has the same moisturizing power as a cream.